Whether you take the Bible as truth or not, there’s no denying the impact the Holy Book has had on our world as it continues to shape and influence most of the world today. More often overshadowed by Israel that comprises of the most important biblical sites, most of the places that inspired the stories of the Bible are found in the current Jordan. 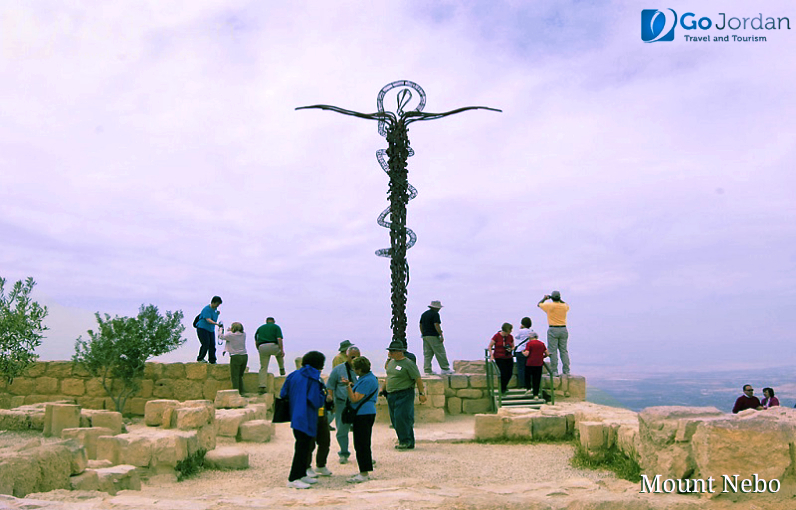 Mount Nebo is an unassuming hill situated just 32 km (20 miles) southwest of Amman. It’s supposed the site where Moses died. Currently, this site offers the same view that God permitted Moses in the Biblical story. The stark mountaintop offers unobtrusive views into Israel and the Palestinian territories. On a clear day, you can see Jerusalem, Jericho, Bethlehem, and other legendary sites. In addition to the spectacular views, the mountaintop stands out as the home to a group of monks who the site and church that dates back to the fourth century. When you go inside the church, you’ll find the remains of Jordan’s most well-preserved floor mosaics from the time period. Additionally, exotic animal species decorate the floor with the battle scenes of warriors. The brightness of the tile’s colors is quite impressive and only look a few decades old instead of their 1,700-year long history. 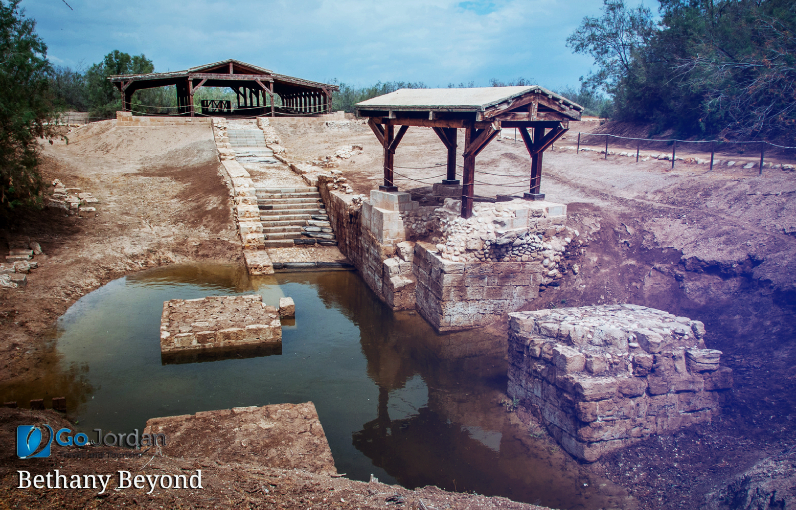 Bethany Beyond the Jordan is agreed on site of Jesus baptism. It’s believed that John the Baptist submerged Jesus into the waters of the Jordan River. The Baptismal site itself is extremely overwhelming, but there’s no denying the significance of the site itself. The steps date back to the fourth century lead down to the once-gushing spring where it’s believed the Baptism took place. Now a small pool of water is all that remains to mark this spot. If you plan to make the best of Biblical tours in Jordan, consider buying tickets ahead of time on your Jordan pass before entering the country. Buying them as a part of the Pass will save you around an additional 4 Dinars per ticket. 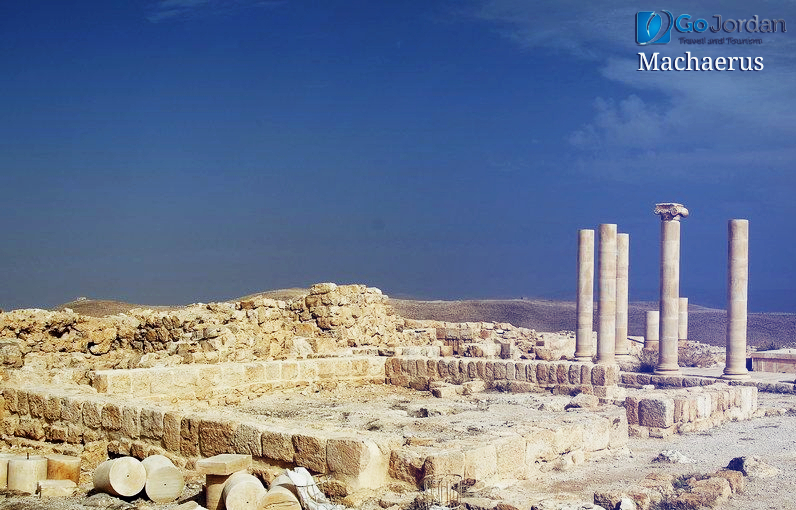 Machaerus is so far one of the best places to take Biblical tours in Jordan. The lone gumdrop-shaped hill, framed with the Dead Sea from behind is the place where the remains of Herod the Great Castle lie. It’s located somewhere on this hilltop, amongst many caves that dot the hillside that John the Baptist is believed to have lost his head. While not the most of ruins remain after being destroyed b invading Romans and earthquakes, there are few places in Jordan that boast such splendid scenery. The climb around the hill and the mountaintop offer 360-degree views of the entire area. The most appealing views are seen in the west where the hills roll down to the Dead Sea some 1,100 meters below. If you’re up for a little hike, the path seen winding over the hilltops below Machaerus offers spectacular views of the Dead Sea. On most of the days, this site only sees a handful number of visitors meaning it will be most likely you and the whispering winds up on the top of the mountain. During your visit there, you will make the best of Biblical tours in Jordan. The main reason behind your visit to Umm Qais is the black stoned ruins that are left by the Ottomans and Romans. This sighting is famous for the fact that it’s one of two sites competing for recognition as the place where Jesus cased out demons into pigs. 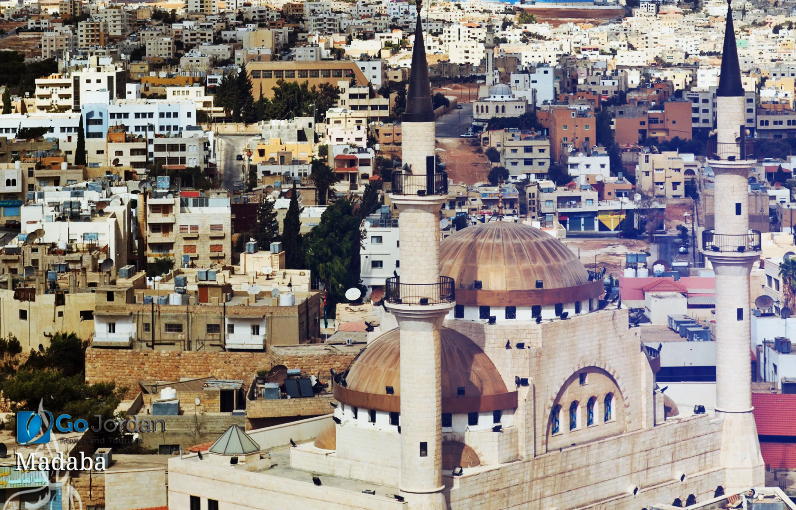 Today this site offers impressive views of Jordan, Israel, the Palestinian Territories, and Syria. 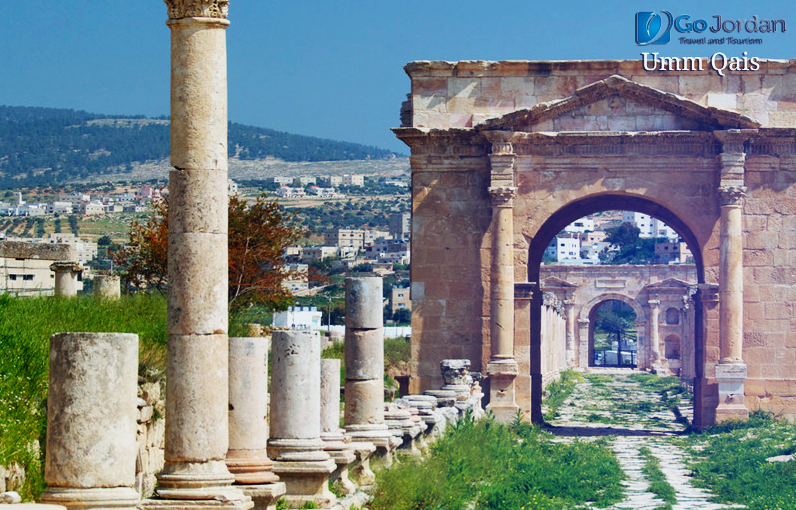 The ruins seen here while not as impressive as Jerash, are well worth a visit in their own term. While not a Biblical Site itself, Madaba is the home to the world’s oldest known map of the Holy Land, offering spectacular insights about the region. Dating back to 560 years, the mosaic floor depicting the Holy Land is currently protected under a roof more modern 18th-century old church. The tiles available here are vibrant in color and are well preserved miraculously. You can take a picture of outside map as there are no signs inside and the mosaic inscriptions are available in Greek. Madaba is the home to one of the largest Christian communities in Jordan with around one-third of the town’s population that belongs to the Christian faith. The churches and mosques stand side by side in this town which acts as a modern symbol of religious tolerance and coexistence. Most of the Jordan Biblical tour sightings, listed above are small in comparison to what Jordan as a whole has to offer. After enjoying these sightings, you will find the Biblical tour a pretty surreal experience that you will treasure forever. To book the best of Biblical tours in Jordan, please contact Go Jordan Tours today. Feel free to stay in touch with us on Facebook, Twitter, and WhatsApp media networks! Don’t hesitate to share your take on Biblical tour package in the comment section below!